X-TREM. 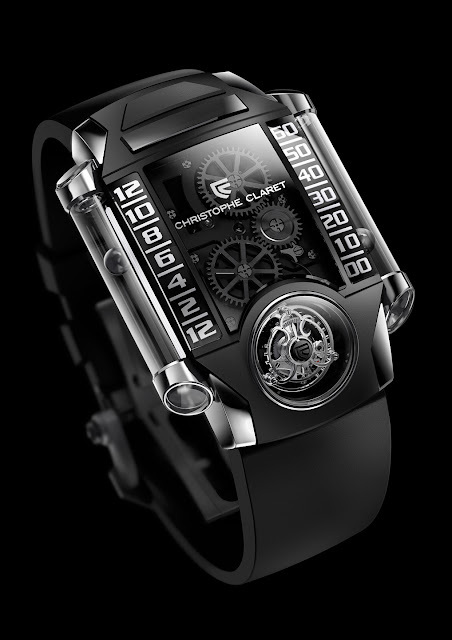 The concept certainly lives up to its name, expressing Christophe Claret’s determination to continue pushing the boundaries of mechanical watchmaking. X-TREM-1, the first model in this new generation of timepiece, represents a technical and aesthetic feat. 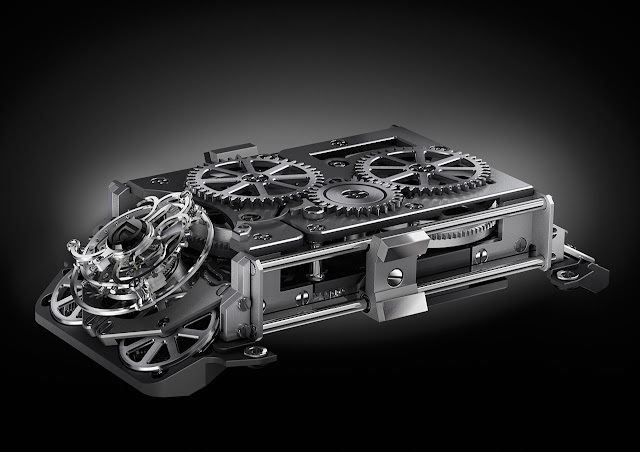 A flying tourbillon inclined at 30°, fitted on a three-dimensional curvex titanium mainplate, and bearing a retrograde hours and minutes display system radically different from existing watchmaking conventions. Two small steel spheres, hollowed and encased within two sapphire tubes placed to the right and left of the caseband, and with no mechanical connection with the movement, appear to be mysteriously floating through the air thanks to magnetic fields. 8-piece limited edition.